The average senior citizen’s out of pocket expense for prescription medication is $3,000 per year, per individual. The total amount spent on health care over the average individual’s life is $225,000 with the bulk of it coming later in life as dysfunction and disease becomes more prevalent. 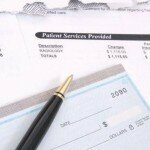 For these reasons, and many others, the rate of bankruptcy due to medical costs is increasing. Let’s examine a reality that all too many people are facing right now. The average person spends a large portion of their life raising a family and investing in a retirement plan. Come to find out later on, their retirement money is largely used to manage poor health and increasing medical costs – making it nearly impossible to retire in the first place. 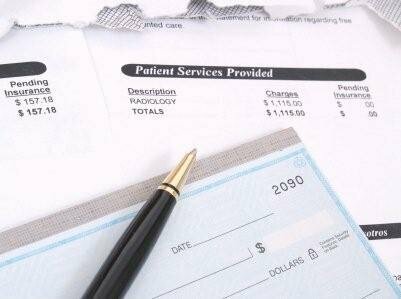 In the end, the average person is financially crippled by health problems and medical debt. 1. Make sure you have adequate health and auto insurance to cover a possible life changing event. 2. Find a Doctor or health care provider, like a Chiropractor, that is focused on health maintenance and disease prevention. Work with them in developing a strategy or plan for preventing illness and promoting optimal health and function. 3. Subscribe to respectable wellness websites and newsletter systems, like www.mercola.com, that can routinely provide you with thoughts and ideas about aging optimally and preventing disease. 4. Create a list of things you want to be able to do for many years, goals and aspirations. This will help you focus on what’s important and what is at stake. List things like playing with grandchildren, traveling with spouse or friends, playing golf, running, biking, hiking, etc. What do you enjoy now that you don’t want to have to give up because of poor health? Make a long list. The longer the better. 5. Create a list of things that you know you need to do, or get back to doing, in order to achieve a better state of health and fitness. Do you need to go to the Chiropractor on a more regular basis, improve your exercise habits, improve your nutritional habits, etc? Maybe its time to start a cleanse or detoxification program? 6. Finally, routinely review your strategy or plans for staying healthy. Do this more than once a year – monthly perhaps. Be certain that your goals remain congruent with your habits. After completing this exercise you may find like most people that your health plan has you teetering on the verge of disaster. Just having good insurance in place is a false sense of security. The rubber really meets the road when you increase your personal efforts to improve health and prevent disease on a routine basis. By not thinking along these lines we are putting ourselves in jeopardy of medically induced bankruptcy. Don’t become a statistic. Don’t put yourself at jeopardy of losing it all financially because you let your health go by the wayside. Make a plan, a real solid plan, to be as healthy as possible for the rest of your life. Find the right doctors and teachers to assist you. Take everything they have to offer you and make the most of it.